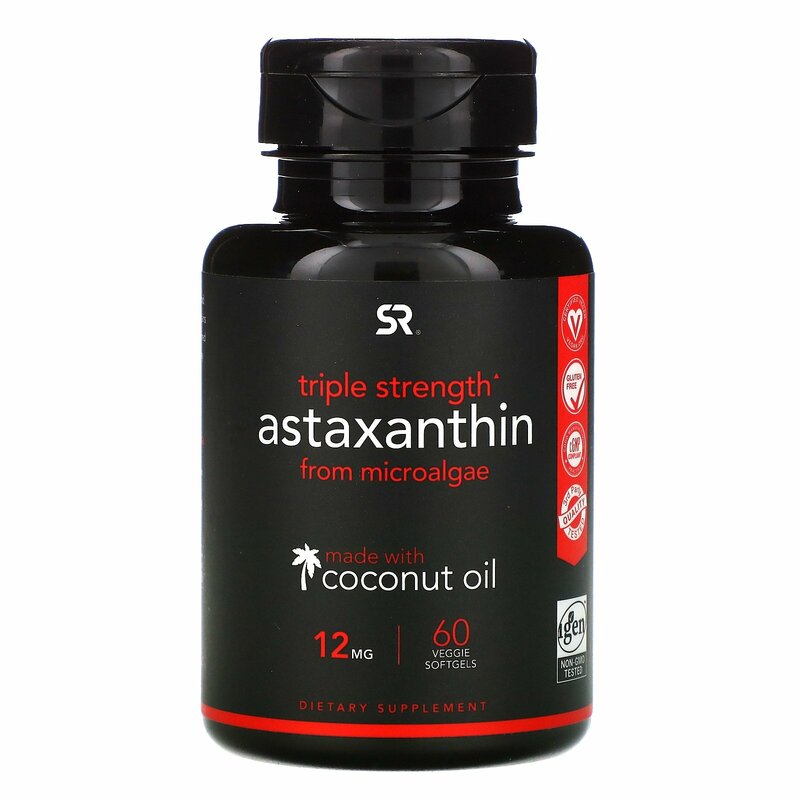 Sports Research Astaxanthin is a vibrantly colored, antioxidant carotenoid derived from microalgae. Studies suggest that Astaxanthin may help support the skin (during sun exposure), eyes and healthy inflammatory response. 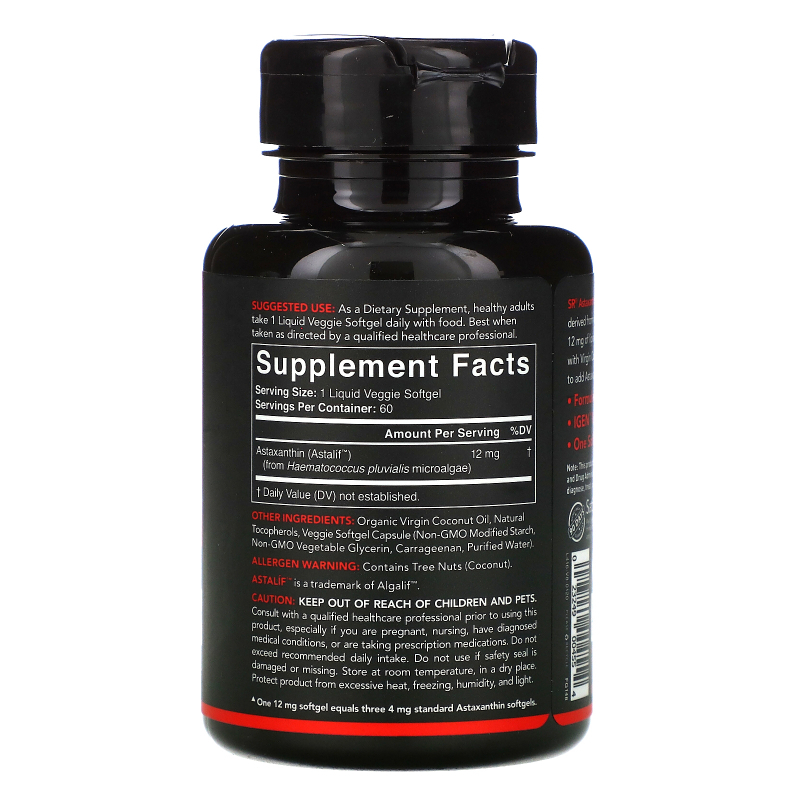 As a dietary supplement, healthy adults take 1 liquid veggie softgel daily with food. Best when taken as directed by a qualified healthcare professional. Organic virgin coconut oil, natural tocopherols, vegetarian softgel capsule (non-gmo modified starch, vegetable glycerin, carrageenan, purified water). Keep out of reach of children and pets. Consult with a qualified healthcare professional prior to using this product, especially if you are pregnant, nursing, have diagnosed medical conditions, or are taking prescription medications. Do not exceed recommended daily intake. Do not use if safety seal is damaged or missing. Store at room temperature, in a dry place. Protect product from excessive heat, freezing, humidity, and light.